With the NEC NP13LP Replacement Lamp For NP110, NP115, NP210, NP215, NP216 Projector, you are prepared incase your lamp gets damaged or burnt. You might be preparing your quarterly presentation in the executive boardroom, warming up for a sales pitch for your most important customer, or sitting down to watch a film with your family. Suddenly the excitement of being prepared is interrupted by the realization that the lamp in your projector is just a little too old, or maybe it was damaged during your recent trip. If you have a spare NEC NP13LP lamp, you can change it immediately. 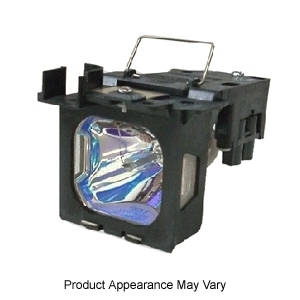 Be prepared for the inexpected with the NEC NP13LP Replacement Lamp For NP110, NP115, NP210, NP215, NP216 Projector. Problem solved!